Visit Pearland and you’ll discover there are so many things to do here that you won’t want to leave. Browse Pearland’s high-end shops at Pearland Town Center and the many specialty stores, antiques and boutiques throughout the city. Enjoy a day on a golf course in Pearland, or embark on a culinary adventure by visiting Pearland’s award-winning restaurants. Then take a day trip to see the Johnson Space Center and the many other world-class attractions in the Houston Museum District, or let your imagination run wild as you watch a play at one of Pearland’s local theaters. There are so many things to do in Pearland that you may have a hard time figuring out where to start. Don’t worry; we’ve got your back. Read on to discover some of the top things to see and do in town, then visit Pearland and see where your adventure takes you. Pearland has several must-visit restaurants that top state and national lists, so bring your stretchy pants, because you’ve got some serious eating to do. Killen’s Barbecue has been raved about on the Food Network, in GQ magazine, Texas Monthly BBQ, and the Houston Chronicle because of its fall-off-the-bone chicken, perfectly-barked brisket, and oh-so-fresh creamed corn.Save room for a slice of carrot cake drizzled with plenty of icing, topped with crisp carrot shavings. Chef Ronnie Killen, who trained at Le Cordon Bleu Culinary Institute in London, also owns Killen’s Steakhouse in Pearland. This acclaimed upscale steakhouse serves up delicacies like seared foie gras with sweet tea pickled peaches and smoked bacon blueberry jam.Try the New York Strip Flight or pan-seared fresh Gulf snapper with lemon butter and jumbo lump crab. After all, you are in the Gulf Coast so enjoying a bit of seafood is a must. 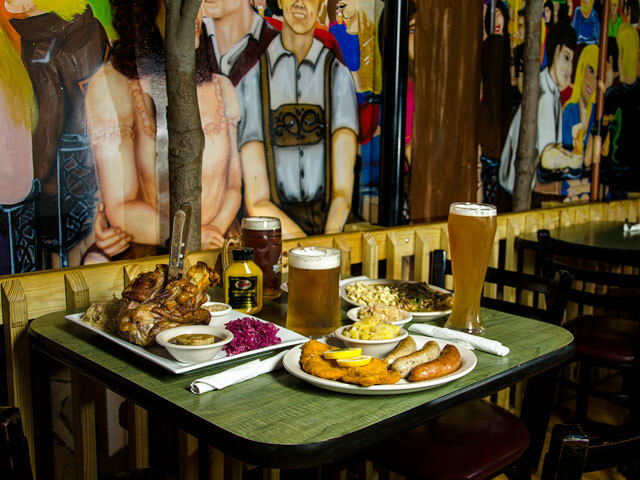 King’s Biergarten & Restaurant has been serving up signature dishes like jaeger schnitzel and bratwurst, along with an extensive selection of German beer on draft, in Pearland since 2011. Despite being open for only a few years, GermanDeli.com has already named King’s Biergarten the best German restaurant in America. Another option is Pena’s Donut Heaven & Grill, which takes donuts to a whole new level. Savor an assortment of palate-pleasing doughnuts like Fruit Loop and maple bacon, or take on their Donut Burger or grilled cheese doughnuts. Wind down your day in Pearland with favorites like The "John Wayne" wood-fired pizza or Pasta fra Diavolo at the ever-popular Grazia Italian Kitchen, and be sure to try the Rodeo Houston Best Bites winner – smoked beef short rib served over pancetta risotto, topped with cilantro molasses glaze. Look for exclusive events at Emma’s Mex Grill pairing renowned tequila ambassadors with menu items for a unique dining experience. Craft beer is a big deal here in Texas, and Pearland is no exception. Fill your glass with delicious hand-crafted brews at Bakfish Brewing Co. or Vallensons’ Brewing Company, two local outfits that make their beers right here in town. Settle in to Bakfish Brewing Co.’s rustic tasting room and whet your palate with a pint of the bold Defying Gravity double IPA or the flavorful Bovine Inspiration milk stout while you play a board game. At Vallensons’ Brewing Company, you’ll have your pick from an impressive selection of amber ales, IPAs, porters, and stouts that pair perfectly with a sunny afternoon on the patio. Not sure what to try? Get a flight and you’ll find a new favorite in no time. Pack your walking shoes and some extra cash, because you never know what treasures you’ll find in Pearland. The Pearland Town Center is an outdoor mall featuring favorites like Macy’s, New York & Company, H&M, and Barnes & Noble Booksellers. Meanwhile, a visit to Bass Pro Shops in Pearland is more like an experience than a shopping trip. Interactive workshops, an Indoor 3D Archery Range, and on-site Islamorada Fish Company Restaurant are among the things you’ll find here. 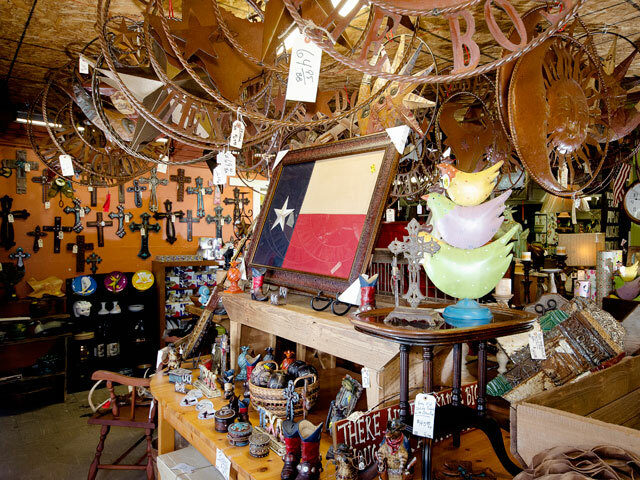 Pearland also has a plethora of local boutiques and antique stores that are well-worth exploring. Take a jewelry-making class at Antiques, Beads & Crafty People, find that perfect piece to complete a room at Something Unique, and delight in High Tea at Four Friends Tea Room before bringing home some spice tea and your own set. 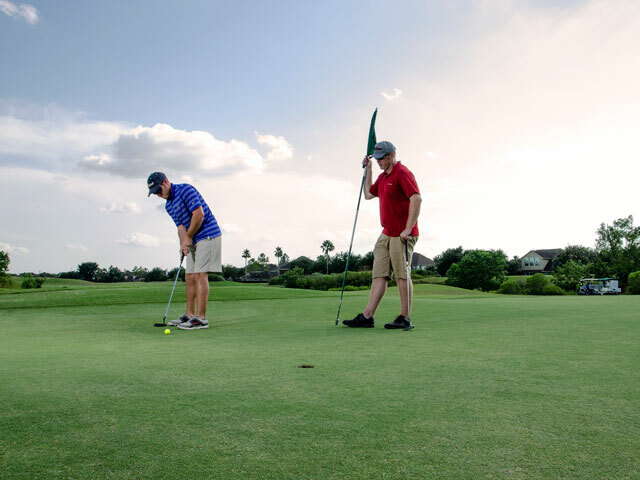 Whether you’re a pro or a beginner, there are two Pearland golf courses that offer some of the best playing experiences in the area. The Pearland Golf Club at Country Place has putting facilities, a driving range, and 18 holes of quality golf for a relaxing day in the sun. Refuel with a bacon cheeseburger or chef salad at their Tee Box Grill. There’s also the Southwyck Golf Club, which winds through the gorgeous Silverlake community. This 18-hole link-style golf course features elements like sand traps and water hazards to challenge all playing levels, and its scenic beauty has made it a popular wedding location. Pearland is even home to the nine-hole Shadow Creek Ranch Disc Golf course, located in the picturesque Shadow Creek Ranch community. Grab your friends and head to these spots for some friendly competition. There is an abundance of first-rate performing arts in Pearland that serves up plenty of entertainment. The Pearland Theatre Guild produces impressive performances at the Pearl Theater throughout the year. They feature quite a wide range of productions, from Macbeth and Suessical, Jr. to Little Women and Shrek the Musical. For something for the whole family, check out a performance by Kids’ Backporch Productions that is usually based on classics in children’s literature such as Robin Hood and Cinderella. Of course, Pearland has all sorts of other kinds of art waiting to be discovered. Explore the town and you’ll find colorful murals and the whimsical pear statues of the Pear-Scape Trail. Stop by the Simply Fine Art Studio to admire works by local artists in its art gallery and brush up on your own creative skills, then find your way to the Pearland Alliance for Arts & Culture to check out a rotating selection of fascinating art. If all of this isn’t enough for you, Houston’s world-class venues are less than 20 miles away. In some ways, making the 20-minute drive north of Pearland to the Houston Museum District is like going on the ultimate day trip. Why is that? The district is home to 20 stunning museums and attractions, more than enough to keep you busy for days. These include family-friendly attractions like the Children’s Museum of Houston (where the kids can engineer a rollercoaster or go on a math adventure) and the Houston Zoo. Stargaze through the 36-inch Gueymard Research Telescope, one of the largest telescopes in the U.S. that is regularly available for public viewing, at the George Observatory in the Houston Museum of Natural Science. Then tour the many grand exhibits on dinosaurs, ancient Egypt, and gems and minerals. Get up close and personal to masterpieces by such greats as Degas and van Gogh at the Museum of Fine Arts, Houston. Known as one of the 10 largest art museums in the country, the museum features two gallery buildings, two art schools, two libraries, two house museums for American and European decorative arts, a theater, and a sculpture garden. These three museums barely skim the top of the profusion of world-class museums found in the Houston Museum District. If you make the trip from Pearland, leave early because you’ll never run out of new things to see and do.